This recipe is adapted from ‘Appetite for China’. The original recipe is called ‘Chinese Corn and Cabbage Soup’ but I did not follow it to a tee. I omitted the mushrooms and scallions and added Chilli and celery which I love. I just wanted a cabbage soup that tastes slightly different. 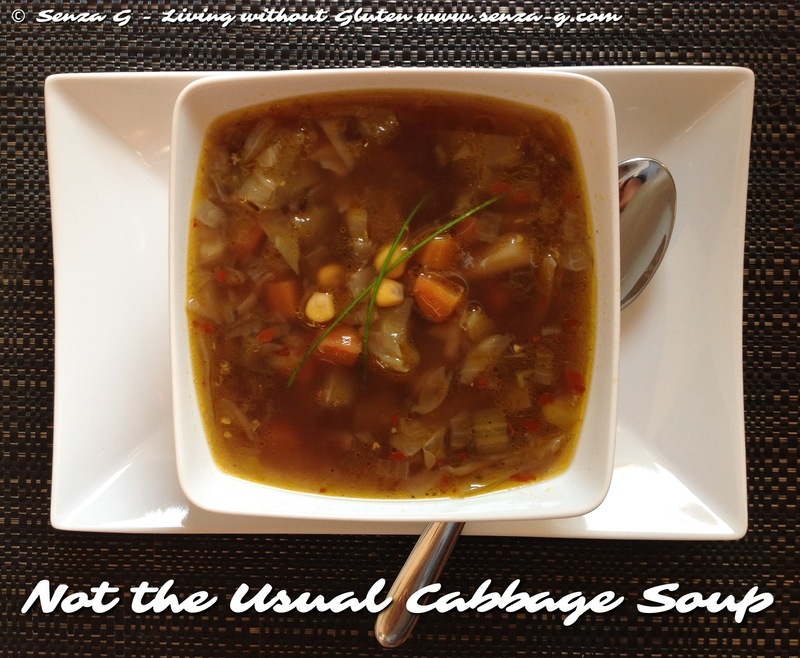 So I called mine ‘Not The Usual Cabbage Soup’. Just that little sesame oil … really does make a difference. An idea is to add some broken rice noodles and make it more hearty and filling. Heat oil in large pan. Sauté onions, carrots, celery and cabbage for a few minutes until cabbage starts to soften. Add the tinned corn. Season with salt, pepper and add the Chilli flakes. Cook for a few more minutes stirring all the time. Now add the stock and the sesame oil, bring to a boil and then leave to simmer until cabbage is cooked. After the initial sautéing, I transferred everything into my crockpot and left it to slow cook on the lowest setting. Not the usual … and I loved it!